1. Just how unprecedented is the current troubled relationship between the mainstream UK Jewish community and the Labour Party? It’s completely unprecedented. The Jewish community traditionally supported the Labour Party, and did so overwhelmingly until around the 1980s. There were a number of reasons for the gradual shift from that point on, but one of these was definitely the rise of a wing of the Labour Party which was extremely hostile to Israel and which, in association with that, had connections with a number of outright antisemites. Key members of that wing of Labour included Ken Livingstone and Jeremy Corbyn. So the percentage of the Jewish community supporting Labour gradually dropped, but when that wing of the Labour Party gained control in 2015, Labour’s polling numbers in the Jewish community fell off a cliff. 2. Do you think left-wing anti-Semitism is primarily a response to the Palestine conflict or other factors (in particular racialised anti-capitalism)? Antisemitism has always been present in left-wing politics, as it has in right wing politics. The Palestinian issue is definitely a factor, but it goes much deeper than that. It has been pretty sickening to see some of the things that get shared on far-left forums supporting Jeremy Corbyn. The idea that Jews/Israel/Zionists control the world and the idea that the Rothschilds run all central banks – these are all far-right ideas which have been embraced by elements of the far left, and are being regularly shared on far left Facebook groups. The far-left loathe the idea of the horseshoe theory, the idea that they are actually closer to the far right than people in the centre are, but those Facebook groups bear out that theory. 3. Why has much of the British (and Western more generally) hard-left developed such an obsession (often crossing into loathing) with the actions of the Israeli state? Especially as the Labour Party and international socialist movement were initially pretty sympathetic to Israel after it’s independence. Was this due to one specific event or a more gradual trend? I think it was a gradual trend, but there were a number of clear reasons for it. Israel used to be much more of a socialist state, so it was easier for Labour to be more sympathetic towards it. When it became much more of a capitalist economy from the 1980’s onwards, that sympathy evaporated. Similarly, while Israel was seen as an underdog it was easier for many on the Left to support. When it became the regional superpower, then it became harder to do so. Some people point to the Shabra and Shatila killings (not actually carried out by Israel, but by Phalangist Christians in Lebanon) as a turning point. But it was also down to the growing anti-Colonialism of the British Left from the 1980’s onwards – and the utterly false depiction by the far left of Jews returning to Israel as ‘colonialist settlers’, thus establishing Israel as something to be seen as utterly evil. Many British Jews look at the reaction from lots of people in the Labour Party towards Israel and the reaction towards other countries (Syria, Iran, Venezuela etc), and they see massive hypocrisy there. And so it’s hard not to look at that and think ‘why are they so obsessed with Israel?’ And to see something highly sinister with that obsession. 4. Why was Corbyn prepared to befriend and associate with numerous individuals/groups which were brazenly anti-Semitic. Indifference or ignorance? Whatever Corbyn says now, he has been very openly anti-Israel for most of his political life. And when you’re that vehemently opposed to Israel, you surround yourself with people who similarly hate Israel. 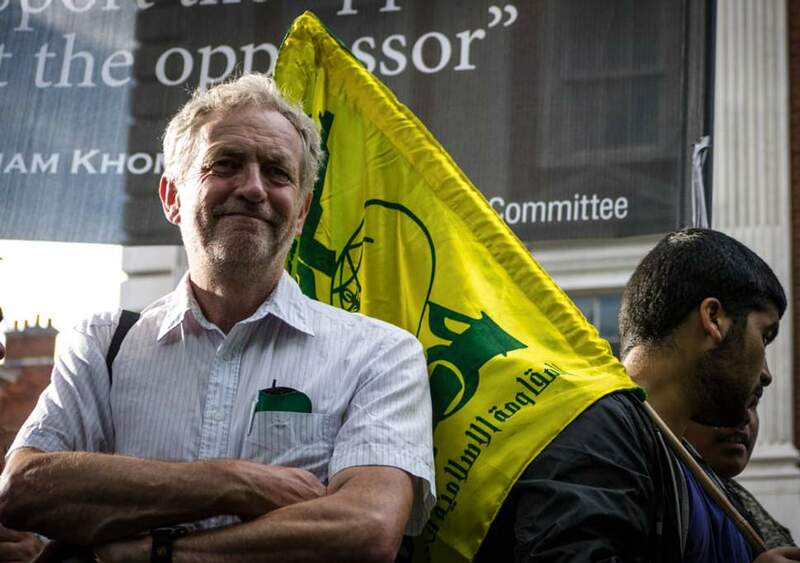 Corbyn pictured alongside a Hezbollah flag at a London Al-Quds Day march. 5. A couple of Jews I’ve spoken to for this piece have independently told me they would consider leaving the UK if Corbyn becomes Prime Minister. Do you think Jews leaving the UK in response to a Corbyn premiership is a serious prospect (perhaps bearing some comparison with what’s been going on in France)? It’s a conversation that many, many Jews in the U.K. have had in the last couple of years. I think that some Jews will definitely leave as soon as Corbyn becomes Prime Minister. A lot won’t, not because they don’t want to, but because they’ll make a judgement and feel that financially they’re unable to move easily and that it won’t get too bad here anyway. But I definitely think it will get worse for the Jewish community if Corbyn becomes Prime Minister. He’s completely incapable of recognising antisemitism, even when it’s right under his nose. A Corbyn government will lead to a huge fracture in the UK’s relationship with Israel – and given that most Jews in the U.K. have close friends and family in Israel, that fracture will be felt very vividly by Jews here. I think antisemitic incidents will skyrocket under a Corbyn government, that a whole bunch of antisemites will feel that they have carte blanche to attack Jews here. There are currently roughly around 250,000 Jews in the U.K. I estimate that if Corbyn becomes PM, maybe 10% of the community would leave the UK within the next decade. 6. What would the Labour Party (and UK left in general) need to do to regain the confidence of Britain’s mainstream Jewish community? They would need to oust the far-left. There’s no other solution. There is zero chance that Labour under Corbyn will regain that confidence. There’s zero chance that any of Corbyn’s senior cabinet – McDonnell, Abbott, Thornberry – will be able to do that. The only way Labour can ever win the Jewish community back is if the centre-left regain control. As far as the mainstream Jewish community are concerned, Labour is utterly toxic as long as the far left are in control. 7. 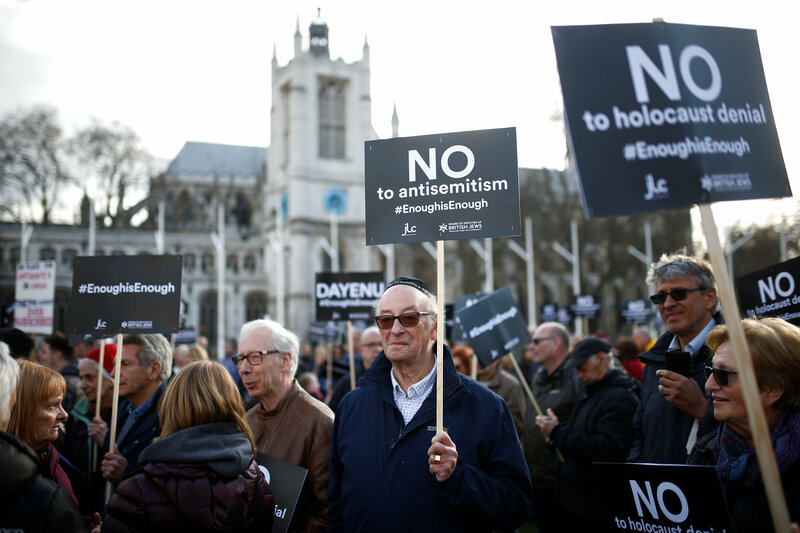 Do you have major concerns about anti-Semitism within any other major UK political party? 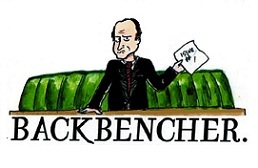 In particular what do you think about the situation within the Conservative Party? I have serious concerns about racism in other parties. The Conservative treatment of the Windrush generation has been an absolute disgrace. The Tories also have a sizeable Islamophobia problem, which they have done little to face up to so far. All the work that the Conservatives did for a decade under David Cameron to try and make themselves into a centre-right party has being undone in the last 2 years, with the party veering sharply further right after the Brexit vote. When UKIP was a serious political party, I definitely had major concerns about antisemitism among its members. But it has imploded. I worry that a large number of those UKIP supporters are gravitating to the Conservatives, and that we will subsequently see a rise in antisemitism in the Conservatives as well.